If you’re growing tired of constantly moving your hand back and forth from your mouse or trackpad to the keyboard in order to launch or quit an application, pause iTunes playing, or copy or paste text, it’s probably time you start learning how to use keyboard shortcuts. For the Mac, there’s a new free application in the App Store called CheatSheet that provides you with a simple, single-click action to view a list of keyboard shortcuts for the current application you’re working in, including the Finder. CheatSheet works pretty simply. When you’re in an application, you hold down the ?-Key (Command key) for a couple of seconds, and then a list of all the keyboard shortcuts for that application will appear. The screenshot above is a full screen view of over 50 keyboard shortcuts available in the Finder. The shot below is a zoomed-in view of the list. Keyboard shortcuts are categorized by the same menu items you would find when you click on the menu bar of a current application. Of course you probably won’t be able to memorize every keyboard shortcut, but each time you commit yourself to using a keyboard shortcut rather than heading for the same item in the menu bar, you will begin to commit that keyboard shortcut to memory. And that’s where CheatSheet comes in. Yes, it’s somewhat of a hassle to bring up CheatSheet, but the more you use it, the less you will use it over time. 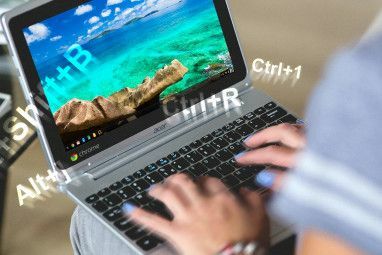 If you to want master the keyboard shortcuts for a particular application you use often, you might consider making the CheatSheet list for that application a temporary part of your desktop wallpaper. To do this, you will need a screenshot application like LittleSnapper that can take a timed screenshot while you hold down the ? key for your selected application. After you make the screenshot, you can open it in OS X’s Preview application and use the annotation tool to highlight several of the keyboard shortcuts you want to learn. Save the annotated screenshot and use it for your desktop background, where you can quickly glance at the keyboard shortcuts you want to master. Some applications don’t have keyboard shortcuts for particular menu bar items. For example, in Safari, “Reopen All Windows from Last Session” under the History menu doesn’t have a keyboard shortcut; but creating one is relatively easy. Launch System Preferences and click on Keyboard. Select Application Shortcuts > Safari. Click the + button and type “Reopen All Windows from Last Session” (without the quotes), and add a unique keyboard shortcut. I chose ? ?O (Shift+Command+O). Click the Add button to save it. When you navigate back to your Safari, the keyboard shortcut should be added. This process can be done for other menu bar items in any application. After you add a custom keyboard shortcut, it will show up in CheatSheet as well. There’s no other features for CheatSheet. Its only Preferences option is setting the delay time (shorter or longer) for launching the sheet after pressing the ? key. If you find using keyboard shortcuts is a quicker way to navigate your Mac, you might want to try other keyboard shortcut-related applications like Keyboard Maestro and Shortcuts for creating keyboard shortcuts for launching applications, folders and files, AppleScripts, and other system-wide actions. 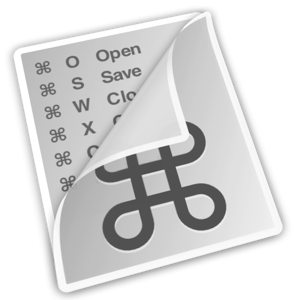 Let us know what you think of CheatSheet and how much you use keyboard shortcuts on your Mac. What is your favourite shortcut and why? The Best Prebuilt, DIY, and NAS Solutions for a Plex ServerSo What’s The Deal With The New MacBook Pro? Nice post, I already printed a copy for me. Cool, Victor, glad you find it useful. I like it but I use Command-Tab (App Switcher) pretty often and CheatSheet annoyingly pops up when I don't want it to. Hmm, okay, James, thanks for letting us know that. Maybe the developer will read your comment and look into this issue. I've been looking for something like this, as I'm still a novice when it comes to Mac OS. Thank you! Thanks for the feedback, Jimmy. This is very helpful. I am a designer and have to know all of the shortcuts in the Adobe Suite. I actually was tested on how many I knew one time while a potential employer watched over my shoulder and counted!! I love having a cheat sheet! Cool, Lauren, glad this will be of help. Liammjwise, thanks for letting us know that. Haven't understood the point of keyboard shortcuts since I left the C> command line prompt behind many years ago. Isn't that why God created mice? Vincent, I hear you. I'm a trackpad user myself, but I do grow tired of moving my right hand back and forth from the keyboard to the trackpad. Keyboard Maestro and BetterTouchTool actually help me more than keyboard shortcuts, so the only time I'm really using the trackpad is when I have to edit my writing. 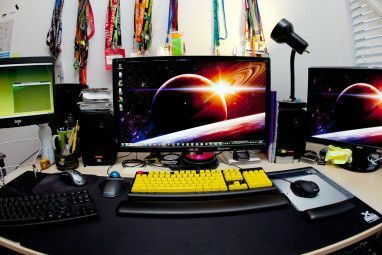 A good solution would be for Apple to make a desktop keyboard with the trackpad behind the keys, just like how they're designed on MacBook laptops. LOVE IT!! Just made my Mac life that much easier! I really LOVE the application-aware hints! Jeremy, thanks for your feedback. It always good to know when readers find something we review useful. Jay, thanks for your feedback. Rodney, thanks for the feedback. Hmm... I use a PC keyboard (MS Natural) on my Mac Mini and I haven't yet gotten this to work. Have you tried writing directly to the developer and see what he says?